● Aric Almirola began Stage 1 in third and completed it in sixth to earn five bonus points. ● When the first caution of the day was displayed on lap 56, the Tampa native made his way down pit road for two right-side tires, fuel and adjustments. 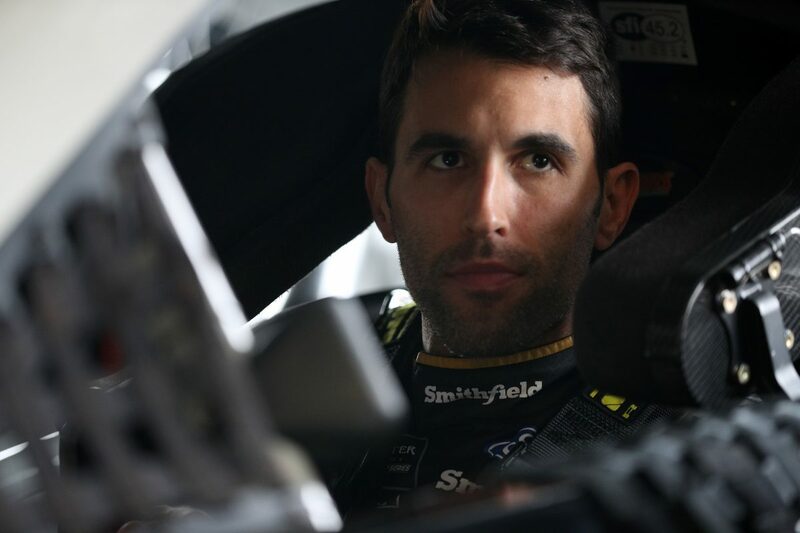 ● Throughout the balance of the stage Almirola remained in the top-six and ultimately completed it in the sixth spot. ● During the Stage 1 break the Smithfield driver pitted for fuel, four tires and adjustments and started Stage 2 running sixth. ● Almirola started Stage 2 in sixth and ended it in 16th. ● After working his way up to the fourth position, the Tampa native made a scheduled green-flag pit stop on lap 120 for fuel, four tires and adjustments. Unfortunately, the No. 10 team was served an uncontrolled tire infraction, which resulted in a pass-through penalty. ● Almirola was then one lap down, but with a fast Smithfield Ford he worked his way back to the lead lap on lap 145. ● The Stage 2 break allowed Almirola to visit pit road for fuel, four tires and adjustments to help his now loose-handling Smithfield Ford. ● Almirola started the final stage 15th and ended it in the 10th spot. ● After the green flag waved on the final stage, Almirola worked his way up to the 12th position and pitted on lap 214. ● During the scheduled green-flag pit stop, the Smithfield Ford received fuel and four tires. ● Over the final laps Almirola worked his way forward up to ninth but then slipped back to 10th, where he ultimately finished. ● This was Almirola’s 14th top-10 finish of 2018 and his sixth top-10 in 14 career Monster Energy NASCAR Cup Series starts at Kansas. ● Almirola finished sixth in Stage 1 to earn five bonus points.